This unique wine was made from fruit harvested during the holiday season. 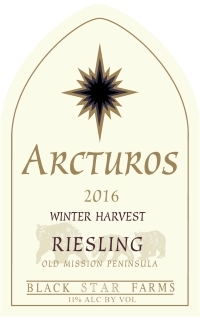 Crafted in the style and spirit of ice wine it is rich and dense with a decadent lingering finish. Aromas of sweet ripe fruits are followed by flavors of apples and apricots that are complemented by honey undertones. This is a delightful wine well-suited for sipping after a meal or alongside a myriad of desserts. Recommended pairings include, savory cheese plates, shortbread cookies, cheesecake with apricot preserves and an assortment of fruit pies.